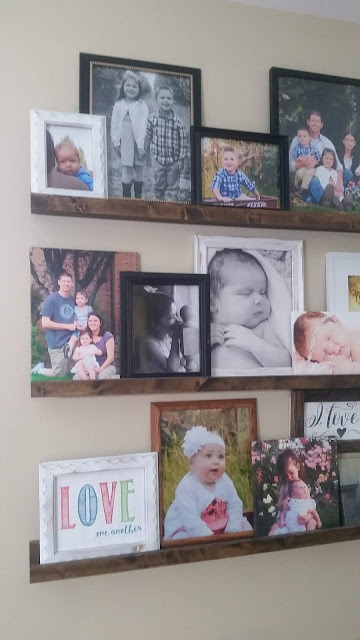 I love decorating with printable. They are so easy to change with the seasons and inexpensive. 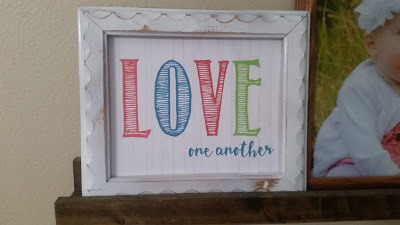 Today I wanted to add a little Valentine's Decor to my home and whipped up this fun printable. 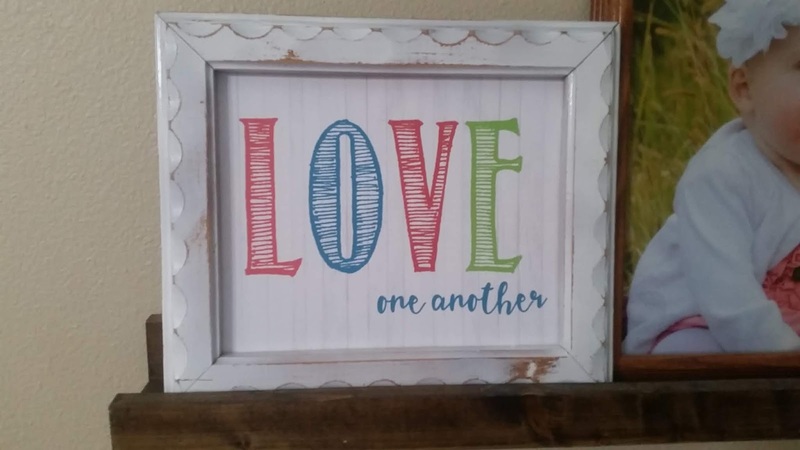 I thought "love one another" was perfect for our shelves that hold a ton of family pictures. Download the Free Printable here. 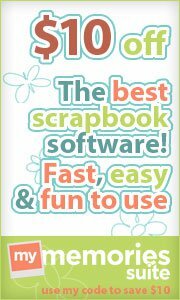 This is in pdf form for easy printing. Click on the link and print (cardstock recommended). 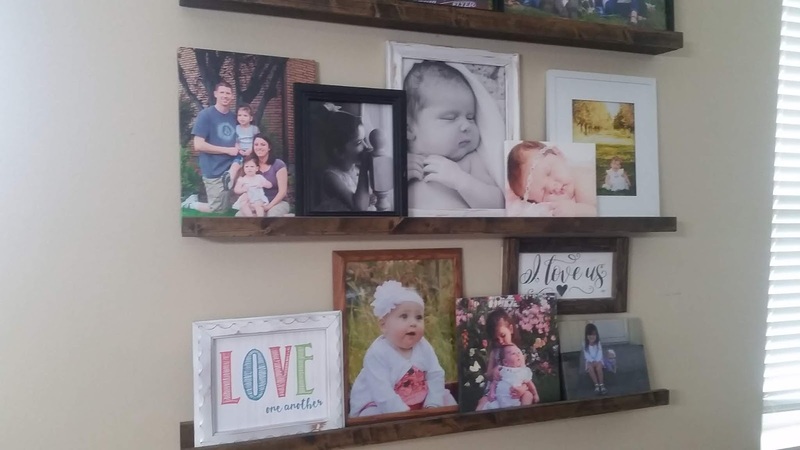 Trim down to fit an 8x10 frame. If you would like a .jpeg version you can find it in the exclusive prints for those that have signed up for my newsletter. You can find the sign up form on the side in case you are looking for it. Have a happy weekend!